It's one day before the upcoming Canadian Space Commerce Association (CSCA) national conference on Wednesday, March 28th, 2012 at the National Arts Centre in Ottawa and only two days before the expected federal budget is released. So there's not a lot happening right now in the Canadian space systems industry. Even Canadian Space Agency (CSA) president Steve MacLean is out of the country as part of a larger Harper government initiative attempting (successfully, if the recent press releases from MacDonald Dettwiler and the Aerospace Industries Association of Canada are to be believed) to generate co-operative trade agreements between other nations. But otherwise, its pretty quiet. In acknowledgement of this situation, the Commercial Space blog is going to take the day off. We'll return next week with all new stories on the budget, news from the CSCA conference and with a report on British attempts to define their space industry (and what Canadians can learn from that). 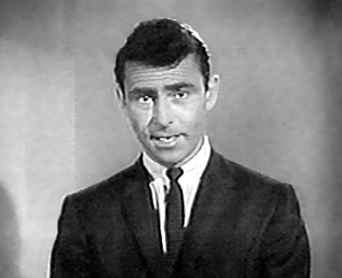 We're "traveling, through another dimension." According to American screenwriter, novelist and television producer Rod Serling, “We're developing a new citizenry. One that will be very selective about cereals and automobiles, but won't be able to think." As an example, take this recent video commercial identified by U-Tube as originating from Kia Canada which promotes the Kia Forte family of automobiles "with the Tech Plus package" but only "for a limited time." The commercial then goes on to compare the Kia package to the "Mars rover," which is described as a "multimillion dollar intergalactic space vehicle" but seems to be far less photogenic than the Kia and simply "picks up rocks," at least according to the commercial. 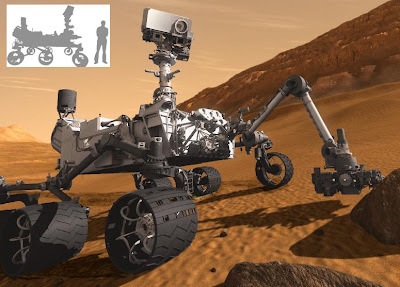 The rover in the commercial does seem to bear more than a passing resemblance to the Mars Science Rover (commonly called "Curiosity") which is currently in transit and scheduled to land on Mars, at the Gale Crater this summer. Of course, the Curiosity rover is far larger than the "Mars rover" in the commercial. The Mars Science Rover is actually much taller than a Kia. No doubt there are other objective differences between the typical Kia and the typical Mars rover that weren't included in the commercial because of the possibility that any extra information would confuse and distract potential car purchasers. 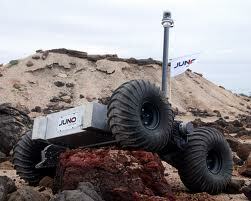 However, since the ad is identified is originating from Kia Canada (and the commercials are running on Canadian televisions stations), there is also the possibility that the rovers referred to are the much smaller space rovers being constructed under contract to the Canadian Space Agency (CSA) by Kanata, Ontario based Neptec Design Group and BC based MacDonald Dettwiler (MDA), utilizing a variety of subcontractors and partners such as Quebec based MPB Communications. But while the Canadian rovers are much closer in size to the rover in the commercial, there aren't a lot of visual similarities otherwise. Besides, as outlined in my December 11th, 2011 post "Canadian Space Rovers on the Chopping Block" the Canadian space rover program is presently scheduled to wind down at the end of this month, when CSA funding runs out. Which seems kind of sad and is certainly an oversight on the part of Kia Canada, especially since it doesn't seem like the sort of thing which would help them sell more cars. Perhaps someone should mention this to the ad agency which originated this campaign. After all, there are still a few people left in Canada, who are able to think. As Canadians move closer to the upcoming federal budget (currently scheduled for release on March 29th) and brace for expected major cuts across all departments (including the Canadian Space Agency), it's interesting to see how Ottawa has slowly ground to a halt to await the inevitable zero hour. However, that doesn't mean that there aren't lessons to be learned from tracking the space focused policies and perceptions of others from outside Canada. Here are a few recent examples to mull over. To begin with, the above video provides several suppositions on how the history of space exploration might have been different if US President John F. Kennedy hadn't committed America to landing man on the Moon before the end of the 1960's. 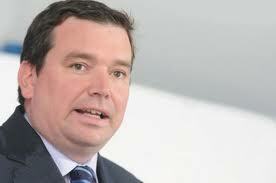 The speaker is Mat Irvine, who presented at a recent meeting of the British Interplanetary Society (BIS) in London, UK. Of course, the Americans don't need the Brits to show them how to navel gaze. The perception is growing that the current US space program has reached a crossroad every bit as important as the chasm faced in the early 1960's, which brings us to our second example. It's the Sunday, March 18th, 2012 edition of the CBS 60 Minutes program, with its segment on Elon Musk and Space Exploration Technologies (Space-X). Even the Russians, after a series of delays and failures which flowed like plot points in a spy movie (and were noted in my August 25, 2011 post "ROSCOSMOS Providing Plot Points for Bond Movie"), seem to have finally come up with a series of plans to guide their future activities, which brings us to our third example of ongoing space policy perceptions. As discussed in the March 20th, 2012 Space Daily article, "ROSCOSMOS takes on NASA," a recently leaked new draft of the original strategy (covering the next 18 years) includes the launch of several long-term space missions to Mars and a manned flight around the moon. Which is just the sort of thing to provoke the Americans into fits of fury. Of course, the confusion at ROSCOSMOS has even included the recent hospitalization of Russian Space Agency (ROSCOSMOS) head Vladimir Popovkin after a bar fight over a sultry model (who's also his personal press secretary according to the March 15th, 2012 Parabolic Arc article "Roscosmos Drama: The General, the Model and the Bottle"), which suggests that any long-term planning might still not be in the hands of the most stable of people. It's likely that none of the above directly relates to Canadian activities or the Canadian aerospace review as discussed elsewhere on this blog. But it is worth noting that Canada is not the only country concerned over future space activities. The title of the March 6th, 2012 PR Newswire press release, "Autonomous Space Capture Challenge Opens Algorithmic Crowdsourcing to General Public" might sound kind of dry to the average reader. However, the body of the press release describes the latest round of an ongoing international competition that Canadian educational facilities, especially those with expertise related to the MacDonald Dettwiler (MDA) on-orbit satellite servicing program, might just want to register for. According to the press release, the Defense Advanced Research Projects Agency (DARPA), in co-operation with Zero Robotics (created in 2009 by the Massachusetts Institute of Technology Space Systems Laboratory to open up the International Space Station to research opportunities originating from secondary school students) and the National Aeronautics and Space Administration (NASA), have announced the opening of registration for the 2012 Autonomous Space Capture Challenge, a contest focused almost entirely on developing computer algorithms to control and model autonomous orbital docking and satellite servicing procedures. In essence, the intent of the program is to develop software designed to enable a servicing satellite to capture a tumbling spacecraft using algorithms which would be very similar to those needed for the proposed on-orbit satellite servicing program that MDA has been promoting and hoping to sell to DARPA. As outlined in my November 2nd, 2011 post "Will US Allow Canada to Bid On-Orbit Satellite Servicing Contracts," MDA is currently awaiting a DARPA decision on whether the Canadian company will be allowed to bid on upcoming US government contracts relating to on-orbit satellite servicing. But to be fair, the primary MDA focus is on the hardware while the DARPA competition focuses exclusively on software required to control the docking process, which can essentially be developed by anyone with a computer (even high school students). 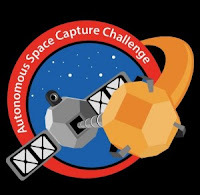 Competitors in the Autonomous Space Capture Challenge will be tasked with programming an active satellite or "Tender" to synchronize its motion with and capture a tumbling, passive space object or "POD". The tournament will have four week-long rounds, during which teams will test their solutions and submit them for scoring and publication on the leader board. At the end of each week the best submission will be published on the Zero Robotics website for public reference and use in the next round. The winner from each week will be included in a demonstration aboard the ISS in late May with the best performing finalist being awarded an additional commendation. The 2012 competition begins on March 28th, 2012 and submissions will be accepted through the month of April. Testing of these algorithms will take place as part of the SPHERES (Synchronized Position Hold Engage and Reorient Experimental Satellites) laboratory environment to provide DARPA, NASA, and others with a long term testbed for the validation of the formation flight and autonomous docking and rendezvous algorithms needed for future satellite servicing missions. It's surprising that Canadian educational facilities haven't already been encouraged by MDA and the Canadian Space Agency (CSA) to register for this international contest and show DARPA what Canuck's are truly capable of. Hopefully, this oversight will soon be rectified. DEXTRE, with the Earth as background. 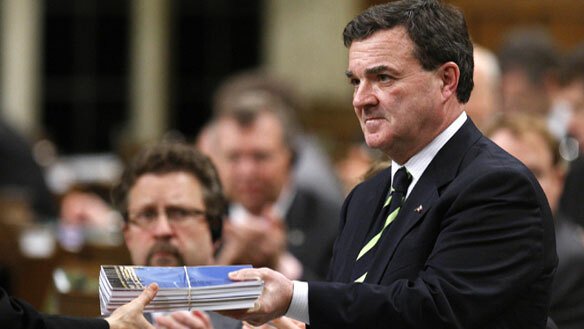 The head of the Canadian Space Agency (CSA) has gone on public record as expressing concern over the future of space research in this country, according to the March 9th, 2012 Ottawa Business Journal article "AAAS: Space budget cuts could lead to brain drain: CSA president." 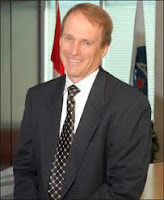 The comments were made by CSA President Steve MacLean at the recently concluded American Association for the Advancement of Science (AAAS) conference in Vancouver and referred to the expected 14% or higher budget cuts his agency (with a FY 2012 budget of $424.6 million CDN according to Wikipedia) will likely need to implement when the next Federal budget is released on March 29th. Left unsaid during the public discussions was the commonly held perception of Canadian space science, technology and engineering students that their first job after graduation will likely be in Europe or the US. For their part, the the major Canadian space systems companies are taking steps to insulate themselves from the expected Federal budget cuts. Ottawa based Telesat, although possessing several times the annual budget of the CSA (and independent of overt government funding to help make ends meet) is seeking $2.55 billion in loans to refinance debt and pay a dividend to shareholders according to the March 9th, 2012 Postmedia News article "Telesat seeks loans totalling $2.55B." Richmond based MacDonald Dettwiler (MDA) announced during their quarterly conference call on February 28th, 2012 that the company would increase the semi-annual dividend payments to shareholders by 30% to counter flat financial results, according to the February 28th, 2012 Canadian Press article "MacDonald, Dettwiler increases semi-annual dividend payment by 30 per cent." MDA has also begun to lay off employees of the Brampton, Ontario robotics facility where the CanadArm and DEXTRE were built. Even Cambridge, Ontario based Com Dev International, presently flying high on the basis of several large recent contract wins and ongoing success with the exactEarth global vessel monitoring and tracking service, has just announced its intention to renew its normal course issuer bid through the facilities of the Toronto Stock Exchange (TSX) according to the March 12th, 2012 Canadian News Wire press release "COM DEV Announces Normal Course Issuer Bid." A normal course issuer bid is a form of share buyback, normally performed by a company with excess cash assets wishing to bolster or stabilize its stock prices over the long-term. At present, Canada has the official capability to develop big satellites and space robotics (through MDA), small-satellites (through Mississauga based Magellan Aerospace), micro-satellites (through Comdev and Newmarket based Microsat Systems Canada Inc.) and nano-satellites (through the The University of Toronto Institute for Aerospace Studies [UTIAS] Space Flight Laboratory [SFL]). Canada also possesses the unofficial capability to build almost anything needed in a space environment (especially sensor related and geomatics technologies but also including life sciences, medical technology, 3D manufacturing technologies and composite materials) or as part of the requirement for getting there (including micro-satellite launchers). This level of industry is certainly sustainable, given the CSA's projected future budgets, but it will be interesting to see how the various players (government and private) react to the many changes listed above, which have occurred or are about to occur over the next little while. At the Canadian Space Agency (CSA) David Florida Laboratory, the critical design review presentations for a dozen potential new Canadian satellites have finally wound down after a month of frantic activity. 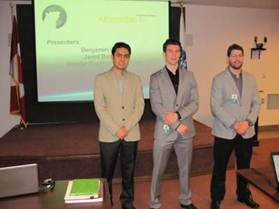 Sepehr Khaligh, Jared Bottoms, Benjamin Lange from the University of Alberta SAT1 team. The presentations were a key component in the Canadian Satellite Design Challenge (CSDC), a Canada wide competition among twelve universities to design, build, test, and perhaps even launch a low-cost operational small satellite. 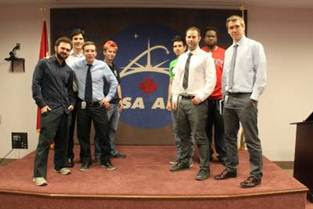 Charles Wilson, Tiago Leao, Nick Sweet, Andrei Jones, Stephanos Dermenakis, Tyson Boer, Shawn Stoute, Alex Potapovs from the University of Concordia Space Concordia team. Teams from Concordia University, the University of Manitoba (the UM T-Sats), and the University of Saskatchewan (U of S Space Design Team) emerged with top marks for their designs. When combined with their marks from the Preliminary Design Review, Concordia University and the University of Manitoba are almost tied, with the remaining teams in a very tight group with only 4% separating them. The review panel consisted of: Patrick Gavigan from Defence Research and Development Canada; Daniel Levesque from the CSA; Maarten Meerman from MacDonald Dettwiler (MDA); and Larry Reeves from the CSDCMS and Geocentrix Technologies Ltd.
Alex Cushley, OCdt.Daniel Stolzman, OCdt. Malcolm Grieve, Maj. José Castillo, OCdt. 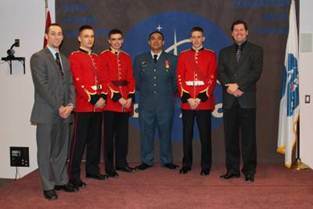 Michael Baskey, Michael Earl from the Royal Military College of Canada team. The use of a radio transmitter to calibrate terrestrial radio telescopes. The use of a device to measure of the level and direction of cosmic radiation, particularly from solar flares. The teams will now begin the assembly, integration, and test (AI&T) portion of the competition to build the flight model of their spacecraft. Environmental testing of the completed spacecraft is schedule to take place at the David Florida Laboratory in September, 2012. 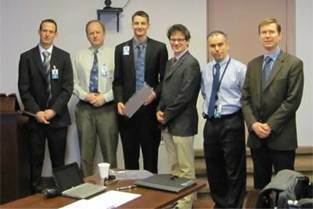 CSDC reviewers with University of Victoria team members Justin Curran (University of Victoria), Maarten Meerman (Macdonald Dettwiler), Nigel Syrotuck (University of Victoria), Patrick Gavigan (Defense Research and Development Canada), Daniel Lévesque (Canadian Space Agency) and Larry Reeves (CSDC Management Society). 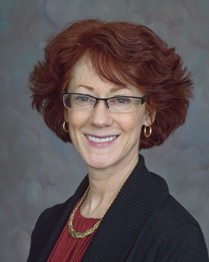 Ex CASIS Exec Dir. 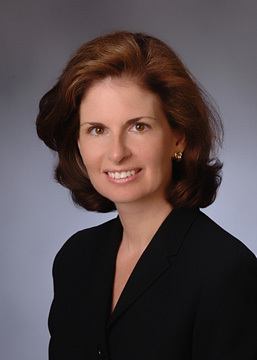 Jeanne L. Becker. 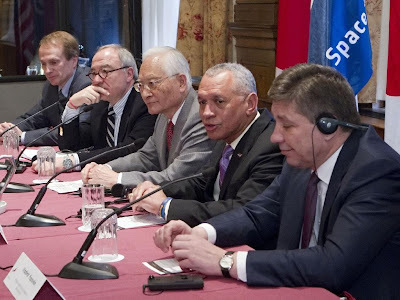 Here's another interesting sidebar to last weeks International Space Station (ISS) Heads of Agency meeting in Quebec City. Dr. Jeanne L. Becker, the executive director of the Center for the Advancement of Science in Space (CASIS), the nonprofit organization recently mandated by the National Aeronautics and Space Administration (NASA) to manage the US National Laboratory aboard the ISS, has resigned after citing concerns over the business relationship between her organization and Pennsylvania based consulting firm ProOrbis LLC. ProOrbis was originally recruited and paid by NASA to write the ISS National Lab Reference Model, which became the template of methodologies NASA used when soliciting a nonprofit organization to manage the ISS National Laboratory in 2011 (a role which eventually went to CASIS). ProOrbis was then hired a second time to respond to the NASA solicitation by Space Florida, an advocacy group focused on regional aerospace economic development along the Florida "space coast." ProOrbis wrote itself into the Space Florida proposal "as the prime source for CASIS organizational oversight and integration” which meant that, while ProOrbis didn't receive the original contract to manage the ISS National Laboratory, the firm does seem to have ended up with the contract for managing the agency (CASIS) which received the contract for managing the ISS National Laboratory (a contract which was awarded to CASIS under the terms of a reference model written by ProOrbis). According to Becker, ProOrbis is essentially a for-profit consulting firm at odds with the nonprofit CASIS mandate. Becker believes that the ProOrbis involvement in CASIS management and business operations, developed through the NASA contracts listed above, puts CASIS’ status as a non-profit "at risk due to conflict of interest, liability and excess benefits issues." As is a matter of public record, Dr. Becker was included in the CASIS proposal as its Executive Director. In her commitment letter submitted with the original proposal, she stated "I am supportive of the management concepts as presented in the CASIS proposal being submitted." However, since taking on this role, she has not engaged ProOrbis in the stand-up activities of CASIS as was contemplated. Issues of conflict of interest for all the principal parties were satisfactorily addressed in the Cooperative Agreement and provisions were put in place to mitigate any potential conflicts. Dr. Becker's concerns about a non-profit organization working with a private company were addressed by legal counsel, which determined that they would not in any way prevent CASIS from engaging ProOrbis or executing the proposal. To translate, it seems that Dr. Becker was only hired by ProOrbis because she agreed that any conflicts of interests between parties had already been "satisfactorily addressed" by legal counsel. Otherwise, it's quite likely that she wouldn't have been hired. ProOrbis doesn't even deny that the business relationships as described by Dr. Becker, actually exist. Events in this area seem to be moving forward quickly and CASIS has already made a public announcement that Jim Royston has been named interim Director of the organization (as per the March 5th, 2012 HobbySpace Post titled "Interim chief named for CASIS after director resigns over management dispute"). But now that the legal concerns are a part of the public record, it will be interesting to see if any of them end up needing to be "re-addressed." The March 2nd, 2012 press release on the 4-traders website might state in the headline that "MDA provides continued support for international space station," but it was really more about announcing a "contract amendment" worth an additional $14.7 million CDN to BC based MacDonald Dettwiler (MDA) from the Canadian Space Agency (CSA). CSA President Steve Maclean with JAXA President Keiji Tachikawa, ESA Director General Jean-Jacques Dordain NASA Administrator Charles Bolden and ROSCOSMO General Director Vladimir Popovkin at the ISS Heads of Agency meeting on March 1st. These new funds will allow MDA to continue ongoing Canadian operations needed in order to support Canadian commitments to the International Space Station (ISS) but also provides an interesting hint regarding the true depth of the Canadian commitment to the ISS. According to the article, the new payment will cover "additional logistics" and "engineering requirements" for the ISS Mobile Servicing System (composed of the Canadarm2, the Mobile Remote Servicer Base System (MBS) plus the Special Purpose Dexterous Manipulator or Dextre) which will extend the life of the program until March 2013 and bring the total value of the contract to $152.7 million CDN. This contracted CSA financial commitment to ISS operation is far less than other recent public announcements of Canadian ISS commitments as described in the March 2nd, 2012 Montreal Gazette article "Canada renews pledge to International Space Station until 2020" and the March 5th Space Travel article "Harper Government renews commitment to ISS" which proclaim an ongoing commitment lasting through 2020. But while this amount is likely not sufficient to stem the ongoing layoffs at the MDA Brampton Robotics facility (which originally built and currently maintains the CanadArm components), it is likely enough to insure that no ISS docking or repair operations are disrupted and that no one complains publicly over the lack of CSA funding related for its ISS commitments over the next little while. At least until March 2013. To understand what's really going on, it's worth noting that long-term space policy initiatives are normally announced (at least under the current Stephen Harper Government) through either the Industry Minister (which is officially responsible for the CSA, but also the ministry well capable of relegating CSA President MacLean to a supporting role, which is what happened on Wednesday during the ISS extension announcement) or by the Office of the Prime Minister (which announced multi-year funding for the RADARSAT Constellation program in their 2010 budget). Given the above, it's certain that some of the confusion has to do with the existing procurement process where budgets are allocated on a year to year basis, but policy is ongoing and defined at others levels and under different processes. But some if this confusion also has to do with ongoing CSA procurement process, which tends to parcel out payment for long-term contracts into small, easily digestible bite sized bits as outlined in my May 23rd, 2011 post "Nothing to See Here! Move Along Now." This process makes it difficult to plan ahead for long-term CSA contracts and is an area where the CSA could legitimately take the lead without stepping on any federal toes. Whatever the real reason for the dichotomy between the public announcement of Canadian ISS support and the actualities of the CSA contract issued to MDA this week, it seems sensible for the Federal government to give a long-term overview of their intentions regarding the ISS, either now or in the upcoming Federal budget scheduled for release on March 29th.